Give your students the most important math tool for success in school! 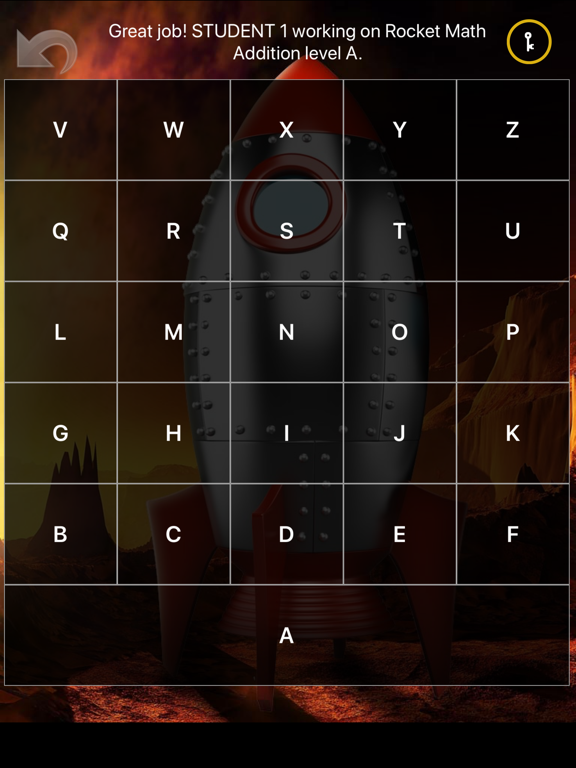 You’re not just keeping them busy--this app actually TEACHES! 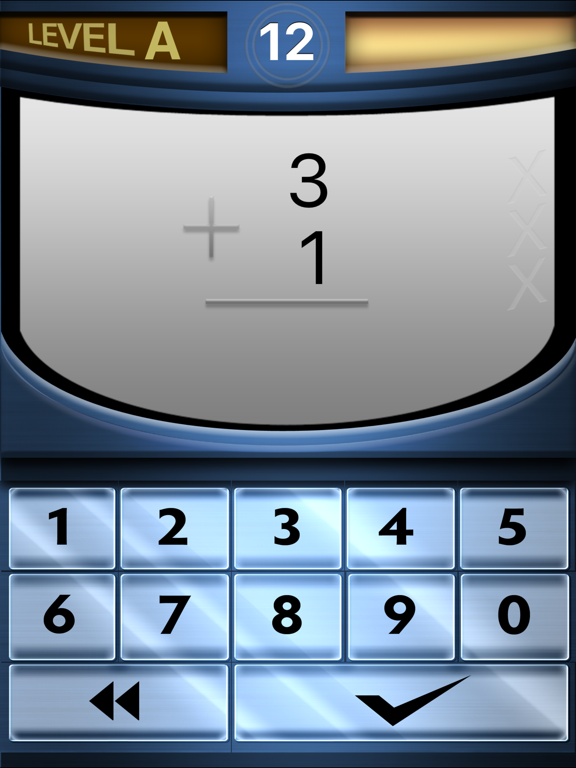 Help your students learn addition and subtraction in a fun, easy and convenient way - directly from an Apple mobile device! For 20 years Dr. Don Crawford’s famous paper-and-pencil Rocket Math program has been helping kids improve their math skills in classrooms around the country. Now this revolutionary program is available in a convenient and educational app! 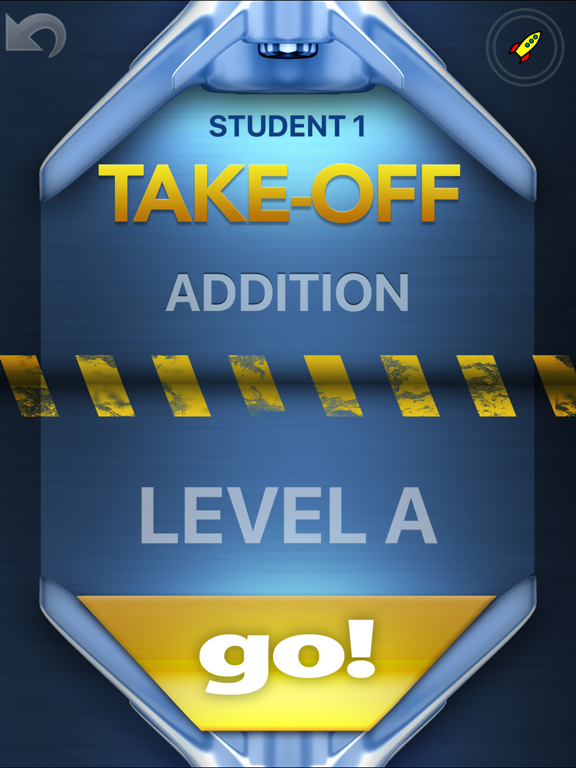 Rocket Math has proven to improve addition and subtraction skills in early school age children through this fast-paced format. Your kids can watch their progress and build upon their achievements as they go. While enjoying this challenging game, they will be proud of what they’re learning! addition and subtraction facts. Their ability to quickly recall these basic facts will make moving on to higher level math much easier in the later grades. CCSS.Math.Content.2.OA.B.2 - By end of Grade 2, know from memory all sums of two one-digit numbers. • Voice guided, all errors or hesitations are instantly re-taught, no teacher intervention needed. 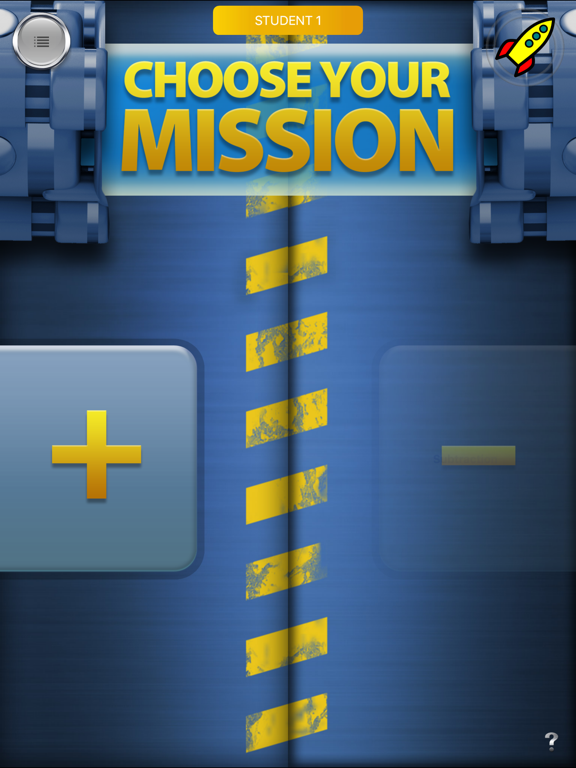 • Student progress data stored on the device so no connection to internet is needed to play. • Print or email achievement certificates from the device. 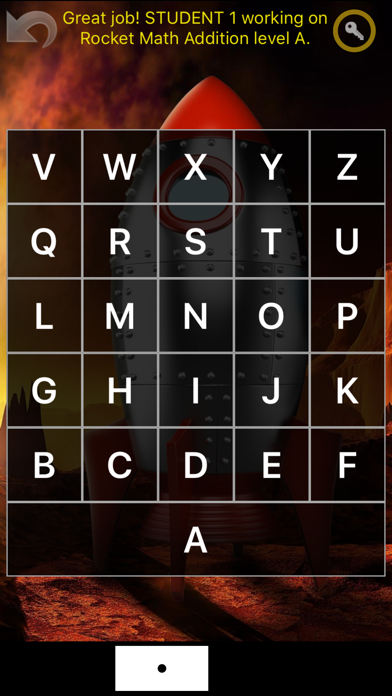 • Plays through levels A-Z as users learn more facts. 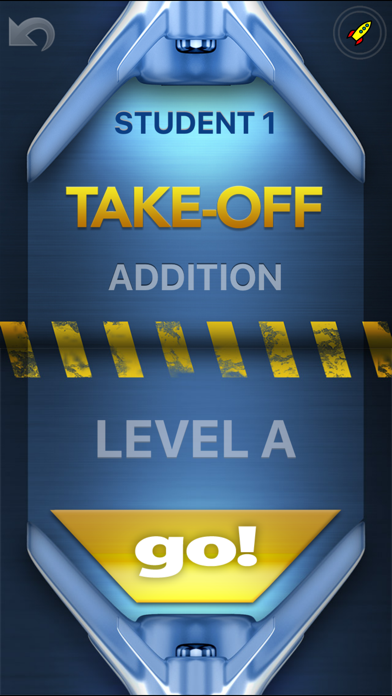 • Each level begins with "Take-Off" followed by "Orbit" and then finishes with "Universe." • Multiple levels - Small steps in a carefully designed sequence ensures success. 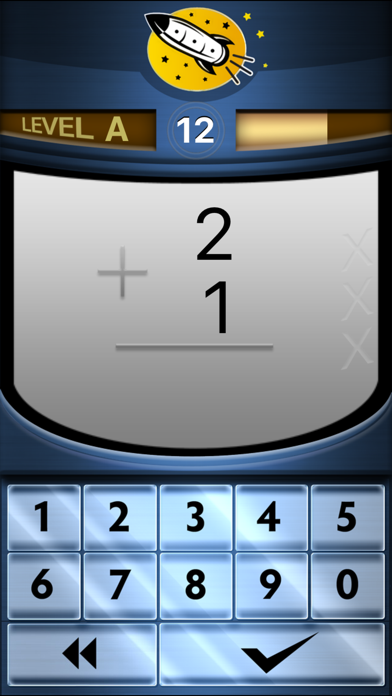 • Learn addition facts followed by subtraction. This app forces you to do things against the parent and teacher’s wishes. For example, if a child is already on Level H addition at school, there is no option to start them on Level H. In my daughter’s school, she has started subtraction, but it won’t let her practice subtraction. She has to repeat all (?) 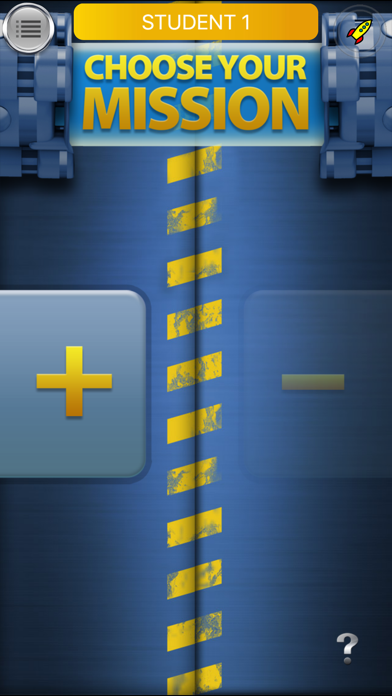 the addition levels before it unlocks. Why? In Parent mode, I should be able to tell it what level she is at. Furthermore, there are no other very basic options. For example, you have to take a 30 minute break every 5 minutes of playing. This should be configurable. The standard version gives 3 seconds, but it should have the ability to override and help slower (or younger) children build confidence. Overall, this has the potential to help kids who are using Rocket Math in their school’s curriculum but it falls short on usability. It’s such a shame to have an app with potential completely fall apart because of such minor usability issues. Compatibility: Requires iOS 11.0 or later. Compatible with iPhone, iPad, and iPod touch.